Everyone has a slightly different reason for wanting new windows, but most homeowners agree that they have the same goals in mind. They want a more energy efficient window and it to look great in their home. However, there are four other things you need to evaluate and decide before you buy your new windows from a local window company. Although vinyl replacement windows are among the most popular choice for many homeowners because they are affordable and low maintenance, they’re not the right option for every home. We’ve found that for the historic homes in the area, wood frames are a better choice to preserve the home’s period look. You don’t have to sacrifice energy-efficiency just because you choose a wood frame. Other options include composite, fiberglass, and metal. The most common glass option is dual pane Low-E coated glass. Triple pane is slightly more energy efficient. Other considerations are impact resistant glass, frostings and tint. As for fill, most windows are air filled. If you’re considering a gas fill, argon provides better insulation than air, reduces frost and condensation and adds some sound-proofing over air filled. If you have a specific look you’d like in your windows, you need to find a manufacturer who has what you want. Besides the style of window (single or double-hung, casement, sliding, etc), some options you’ll want to decide on include hardware like the locks and the grille or muntin patterns. 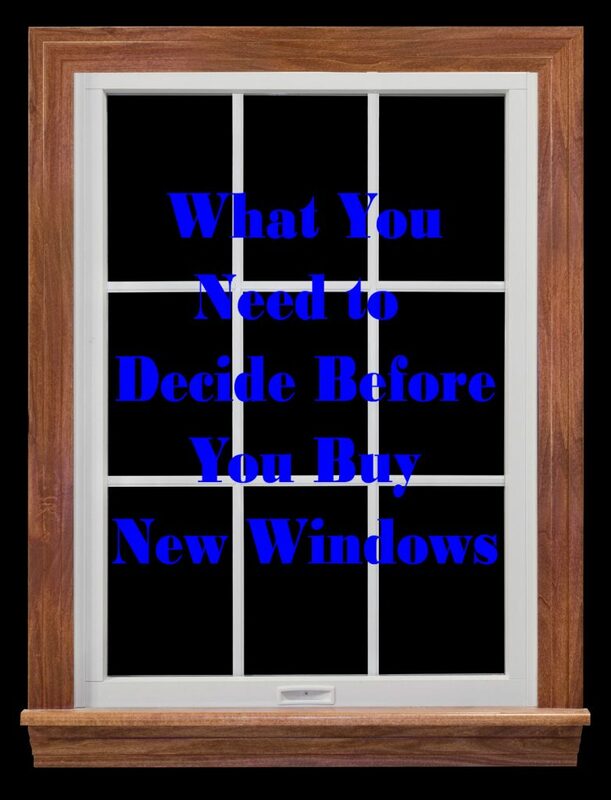 There are many businesses who sell new windows. The dangers of buying from a big box store is that you won’t know who will install them until you get a call to schedule their installation. Hiring a roofing company to install your windows may not be a good idea either because they likely don’t install them often and may or may not know industry best practices. The best option for new window installation is a window company like Blair Windows & Doors. Our installers are all trained in the proper installation method of the brands we sell. That means, your new windows will not only look great, but provide the energy efficient benefits you’re expecting. If you’re looking for new windows for your Indianapolis area home, call the team whose specialty is windows, Blair Windows & Doors at 317-356-4666 to schedule your free estimate today.